We work for Google. Our employer shouldn’t be in the business of war. This open letter first was published on NYT and taken over by The Guardian who published the letter integrally. It is about Google (maybe technically Alphabet Inc) developing, with third parties, AI (artificial intelligence) programmes and solutions for the US military. Though Google’s programmes won’t directly be used for warfare it will be used indirectly because they gather data, movements and predict where people will be at a certain point so an attack will take place. Work to be accomplished over the next few months includes trialing and labeling data so the algorithms can be trained, the colonel explained”. One of the commercial companies is Google, but also Amazon and Microsoft are participating in it. Just a forceful reminder: You and I make all this possible because you and I are using and Google, and Microsoft and Amazon, either regularly or incidentally but I am guessing there isn’t a person on this planet that never has used any of these companies. Yes, these companies made our lives so much easier, yet, on the other hand, they also have this dark side in warfare. Each add click, each Office subscription, each purchase at Amazon, everything contributes to warfare one way or the other. The USA holds only like 5% of the world’s population, but the biggest military budget it theirs. I don’t know the statistics, but, I do assume that the majority of revenue to those companies is coming from other countries and not that USAmericans are funding their own companies besides Amazon. Those companies can be that large because of us, because we use them, click on adds, and have windows on our computers and android on our phones. Hence they have the knowledge and money to develop these AI which can be used for good but also for the bad. I really hope this letter of theirs will be spread and goes super viral as at least I totally agree with them and on top of that, I do not agree that through my interaction with Google I am, too, responsible for the creation and execution of AI programmes for the US’s military killing ‘my brothers and sisters’. We believe that Google should not be in the business of war. Therefore we ask that Project Maven be cancelled and that Google draft, publicize and enforce a clear policy stating that neither Google nor its contractors will ever build warfare technology. Recently, Googlers voiced concerns about Maven internally. Diane Greene responded, assuring them that the technology will not “operate or fly drones” and “will not be used to launch weapons”. While this eliminates a narrow set of direct applications, the technology is being built for the military, and once it’s delivered it could easily be used to assist in these tasks. This plan will irreparably damage Google’s brand and its ability to compete for talent. 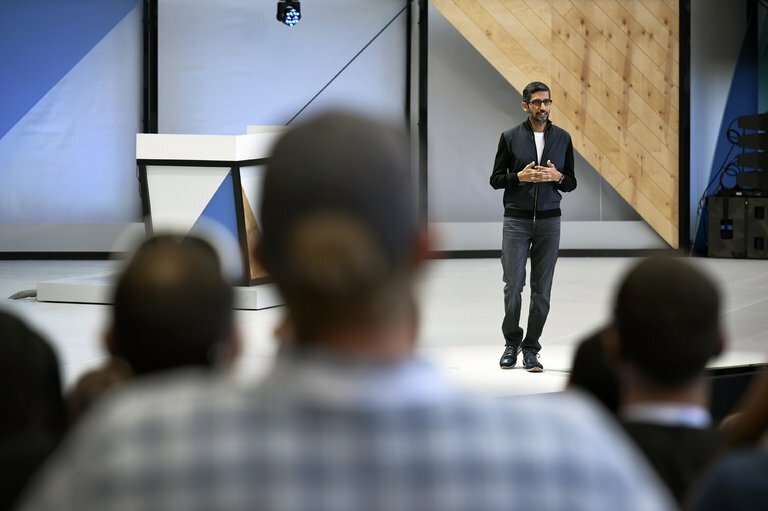 Amid growing fears of biased and weaponized AI, Google is already struggling to keep the public’s trust. By entering into this contract, Google will join the ranks of companies like Palantir, Raytheon and General Dynamics. The argument that other firms, like Microsoft and Amazon, are also participating doesn’t make this any less risky for Google. Google’s unique history, its motto “don’t be evil”, and its direct reach into the lives of billions of users set it apart. Recognizing Google’s moral and ethical responsibility, and the threat to Google’s reputation, we request that you: 1. Cancel this project immediately. 2. Draft, publicize and enforce a clear policy stating that neither Google nor its contractors will ever build warfare technology”. Next Post: Get the Frack out of Groningen!